During last month’s Blog, we looked at the Treated Wood Field Inspection Process…so what happens next? As we learned previously, core samples are taken by the SPIB Inspector as part of the routine audit process of a given treating plant and the number of charges to be sampled is based on the plant’s production and/or performance. Charges found non-conforming for penetration are isolated for correction while charges found conforming are accepted. But that is just half the story! The next step in the audit process is to make sure that charges additionally meet the preservative retention requirements. 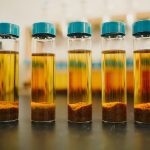 Those charges found conforming for penetration, then, are cut to a specified assay zone, bagged, labeled and submitted to the SPIB Laboratory for retention analyses. Retention: Preservative amount in a specified zone of treated wood. There are many types of preservative systems used within the Treated Wood Industry. The American Wood Protection Association (AWPA) Book of Standards and the International Code Council – Evaluation Service (ICC-ES) Evaluation Service Reports (ESR’s) list and define these various formulations. Part of each specification is to require a minimum amount and ratio of the individual active chemicals (or co-biocides) for each preservative system. Further, the AWPA Standards and ESR’s designate what preservatives and their respective minimum retentions are suitable for specified exposure conditions. 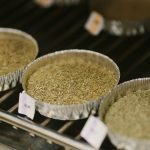 Regardless of preservative type, the SPIB Laboratory is equipped to analyze all of the preservatives in the marketplace today! So let’s get our lab coats and see how that’s done! Each day, core samples come in from the SPIB Field Staff and thus begins what we SPIB Lab Nerds refer to as ‘Sample Log-in and Preparation’. Samples are given a unique identification number and are color-coded by preservative type. Once properly “logged in”, each sample is initially dried, ground into sawdust, and re-dried until the dust reaches 0% moisture content in preparation for retention analyses. Samples that have been treated with preservatives containing metallic components such as copper, arsenic, chromium, or zinc are initially analyzed by X-ray Fluorescence (XRF). 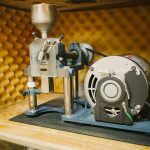 XRF is a non-destructive analytical method and allows further use of the sawdust for additional test methods, if needed. When samples are exposed to X-rays, the energy causes changes to occur within the sample’s atoms. Atoms, as we all know, are made up of a nucleus and all of its orbiting electrons. When X-rays collide with these atoms, it expels electrons from lower energy orbits leaving space for electrons from higher energy levels to fill. All of this “moving around” of electrons causes energy to be released that is specific to each element. The resulting energy is measured to determine the amount of preservative in the sample. Ground sawdust is placed in a sample cup, covered with Mylar film and placed into position over the X-ray window for analysis. 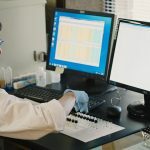 For preservatives like CCA, ACZA, and Pentachlorophenol, XRF assay is all that is required to complete the analysis process. Other preservative systems, however, contain additional components that require further testing. The required test methods for these systems are a bit more complicated as the chemical components cannot be measured directly from the wood, rather, the chemicals must be extracted from the wood sample. 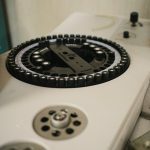 To accomplish the extraction process, a portion of the sample is taken and carefully measured using a calibrated balance. 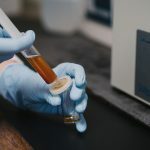 An extraction solution (usually made up of a mix of alcohol and acid) is then added to each sample aliquot and the samples are sonicated for several hours. Once sonication is complete and the chemicals have been released from the sawdust, the sample is filtered and is then ready for analysis. Aliquot: a portion of a larger whole, especially a sample taken for chemical analysis. Sonicate: expose to high-frequency sound waves. One of the additional test methods that may need to be performed for preservatives that contain quaternary compounds or borates is a process called titration. Titration is the method of determining an unknown concentration in solution by adding a known concentrate of ‘titrant’ in carefully measured amounts until a reaction occurs. The reaction is determined by a color or electrical change within the sample. An Auto-Titrator measures electrical changes within a sample. Preservative components such as Azoles require analysis by Gas Chromatography (GC). When analyzing a sample by GC, a tiny portion of the filtered extract is pulled up into a syringe and injected into the instrument. SPIB Senior Laboratory Technician, Lauri Hayden, prepares and loads samples for GC Analysis. At the injection site, the sample is super-heated, instantly vaporized and carried through a column by a neutral gas such as helium. As the sample travels through the column, it is separated into its different components (e.g. tebuconazole and propiconazole) and adsorbed along the column’s stationary phase. Each component reaches the end of the column at different times (called a retention time) and moves past a detector. The detector is able to measure these components and record their output as peaks in a chromatogram. 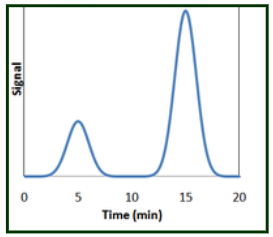 The amount of preservative component can then be calculated by measuring the area under these peaks. During Adsorption, chemical components of a sample are separated and accumulate along the interior surface of the GC Column. 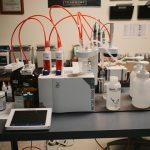 There are other non-metallic preservative systems, as well as solution samples and moldicide samples, which contain components that must be analyzed by a similar test method known as High Performance Liquid Chromatography (a.k.a. 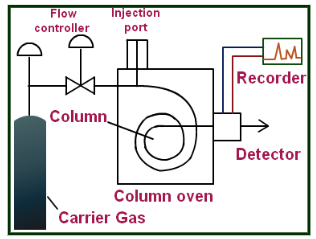 High Pressure Liquid Chromatography or HPLC). HPLC is very similar to GC testing in that the sample is injected, moved through a column and past a detector, however, the sample is moved through HPLC analysis by liquid solvents. A mixture of these solvents is called the mobile phase simply because it moves the sample through the HPLC system. 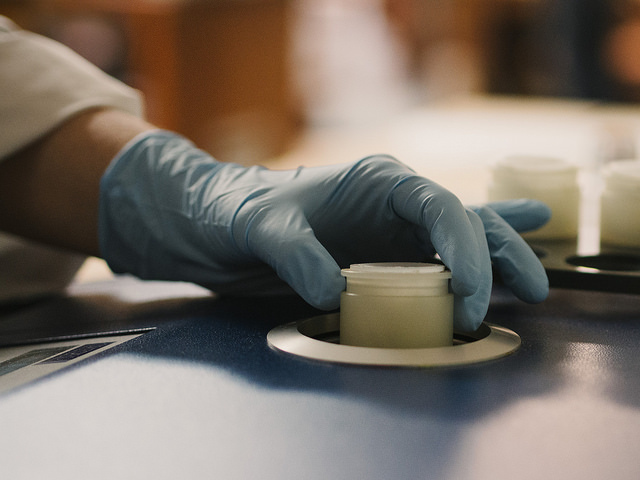 Once all of the assays are completed for each component in a sample, the results are added together and a final retention result is calculated. These results are usually reported in pounds per cubic feet (PCF). 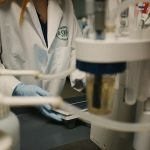 The SPIB Laboratory then reviews each sample to determine conformance to the minimum retention requirements and the completed inspection data for each Subscriber is uploaded into the plant’s individual online database. At this point, you may be asking, “What qualifies the SPIB Laboratory to perform these types of tests?” And we’re very glad you asked! The SPIB Laboratory is accredited by the American Lumber Standard Committee (ALSC) and by the International Accreditation Service (IAS). ALSC conducts yearly audits of the SPIB Laboratory and you can find out more about ALSC’s Treated Wood Program and review their Accredited Agency List at ALSC’s WEBSITE. The SPIB Laboratory is accredited by IAS as an ISO/IEC Standard 17025 Testing Laboratory. IAS performs biennial intensive reviews of our Lab’s procedures, instrumentation, calibration and process control. You can review our IAS Certificate of Accreditation at IAS ONLINE. Beyond these external audits, through the use of rigorous internal quality control, the SPIB Laboratory takes tremendous care to make sure your results are completed as quickly and as accurately as possible! So what happens next? What do we do with all of the data that we’ve generated from both SPIB Field Inspection and Laboratory analyses? Be sure to check out next month’s blog!